A Philadelphia-bound SEPTA Regional Rail Train at the East Falls Station, Tues. Oct. 17, 2017. Later this summer, Regional Rail customers will be able to use the SEPTA Key on Regional Rail trains. Well, some of them, that is. The transit agency announced Thursday they will launch an "Early Adopters" program for Regional Rail riders on August 1. Passengers will be able to buy a Monthly TrailPass on the Key going to and from the following 19 Zone 4 stations. • West Trenton: Yardley, Woodbourne and Langhorne. 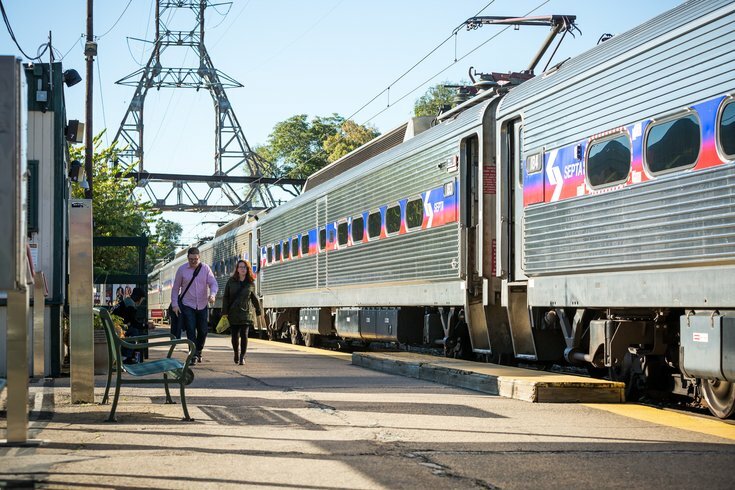 SEPTA plans to expand the Key program to all Regional Rail stops, allow for weekly passes to be purchased, and allow for funds to be added to the Key's Travel Wallet for Regional Rail travel, although it is uncertain when that capability will be offered. Until then, passengers will still be able to buy magnetic strip passes and paper tickets for the foreseeable future. Tap-and-go turnstiles at Center City stations are already in place so that commuters in the Early Adopters program can simply tap their Key card to get through. The turnstiles at Jefferson Station are already operational; they'll be ready to go at University City on July 2, Temple University on July 9, Suburban on July 16 and 30th Street by the end of July. SEPTA has also been tweaking its Key program, including recently lowering the minimum amount needed to refill a card from $10 to $5. The new Early Adopters program on Regional Rail coincides with SEPTA halting the issue of paper transfers on buses, trolleys and subways, which will also occur Aug. 1.